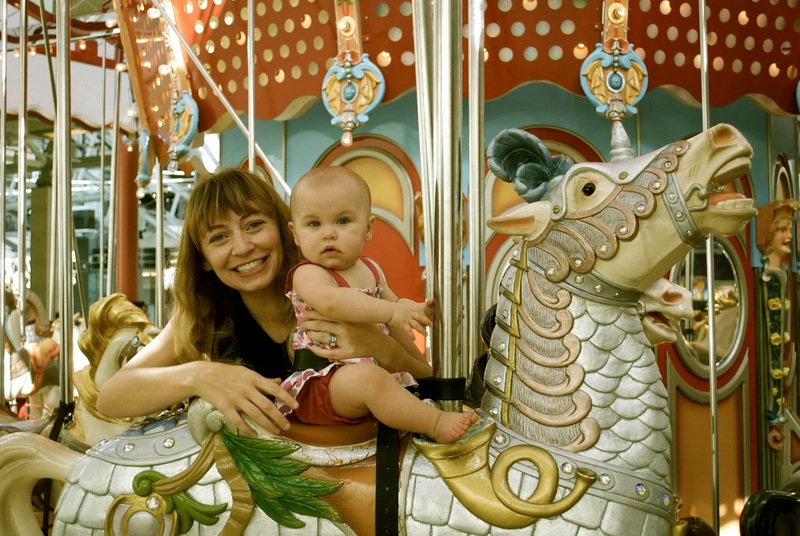 Yesterday, Adelaide and I tagged along on a trip to the mall for a ride on the carousel. The first ride of her lifetime; the first of many if I have anything to say about it. Adelaide met the ride with her usual "meh." face on, eyes wide, taking it all in. If I had to guess, I'd say that that is going to be a very prominent characteristic in our sweet baby girl. She spends a good bit of her time quietly observing everything going on around her, seeming to take in every detail and store it away. I know that it is still very early in her life, but creating and documenting these memories has been such a pleasure. 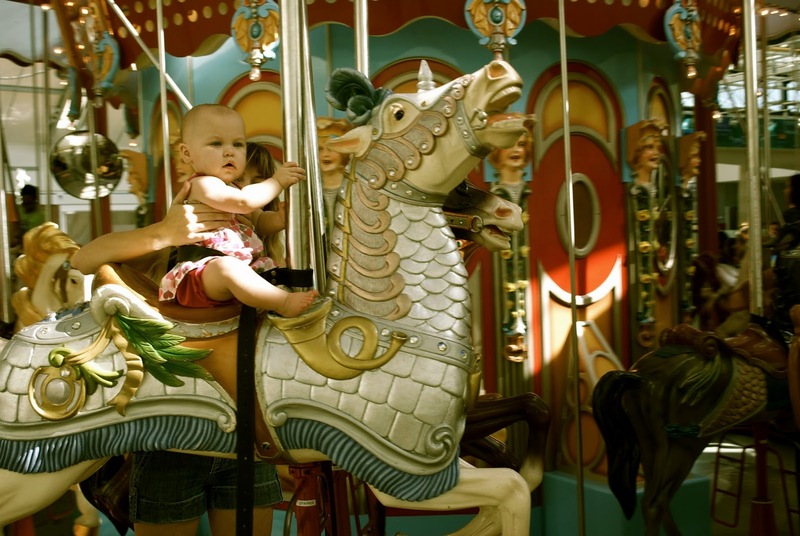 Whether she will remember any of it or not (probably not), I love watching her experience new things, from carousel rides to the texture of a squash puree. The opportunity to experience the anticipation of things I'd long forgotten to be excited about, and the pure magic of childhood all over again has been extraordinary, and I look forward to reliving that wonderful time with her each and every day.